The United States is not the only country facing political tension around 2016 presidential elections. Two candidates whom opinion polls had running second and fourth in Peru’s presidential election have been disqualified from preliminary elections to take place on April 10, while the frontrunner, Keiko Fujimori was rumored to be at risk of being similarly disqualified. On March 4, an investigative subcommittee declared candidates Julio Guzmán and César Acuña ineligible to run in the presidential election. Opinion polls had shown Guzmán, an economist, in second place behind Keiko Fujimori, daughter of imprisoned former President Alberto Fujimori, with Acuña, a successful businessman, in fourth place. Guzmán, with support fluctuating between 16 and 18 percent (to Fujimori’s ratings just above 30 percent), was seen as her main rival for the presidency; Acuña was polling at between 4 and 8 percent. By a vote of 3 to 2, the Special Electoral Jury (Jurados Electorales Especiales or JEE) declared Guzmán’s candidacy void on technical grounds, finding that his party, All For Peru (Todos Por El Perú, or TPP), incorrectly completed its inscription process by not handing in a complete set of paperwork. The JEE unanimously found that Acuña’s political party, Alliance For Progress (Alianza Por El Progreso, or APP) illegally purchased support, a violation of the election process rules. Both candidates’ parties appealed the JEE resolutions on March 7 to the JEE’s governing board, the National Electoral Jury (Jurado Nacional Electoral, or JNE), which on March 9 issued its decision upholding both JEE rulings disqualifying Guzmán and Acuña. Both parties presented extraordinary appeals on March 12 in final attempts to reverse these decisions, and the following day the JNE effectively ended both campaigns by declaring both appeals unfounded. Fujimori is a former member of the National Congress who leads the Popular Force (Fuerza Popular) party; after her parent’s divorce, she served as Peru’s First Lady from 1994 to 2000. With her candidacy attracting growing support, many saw the need for a strong candidate to counter her popularity, fearing a Keiko Fujimori presidency would reflect her father’s, which was riddled with corruption and human rights abuses. Former President Fujimori is currently serving prison sentences for convictions in cases varying from embezzlement and bribery to ordering killings and kidnappings by death squads. Guzmán, a one-time economist at the Inter-American Development Bank (IDB), began his career in the public sector as vice minister of Micro and Small Corporations & Industries in the Ministry of Production, and later was secretary general of the Council of Ministers in the administration of Peru’s current president, Ollanta Humala. His campaign was precarious from the initial announcement of his candidacy. The JEE began investigating Guzmán after accusations were lodged alleging “irregularities” in his political party’s inscription process. Despite such accusations, Guzmán’s campaign achieved second place in the polls, with support mostly from the country’s center and left. Given his appeal as a political outsider, Guzmán could have been the only candidate in the second round of elections to stand against Fujimori, who has had an extensively controversial political career. Guzman claimed the JEE decision came solely from political pressure, calling his accusers buitres (vultures) trying to steal his votes. Such statements by Guzmán in regards to the JEE’s resolution clings to his idea of an “undemocratic” outcome, saying he has asserted that his disqualification violates his right under the constitution, which does not bar any person from running for office for procedural administrative reasons. At the same time, however, the lack of transparency in Guzmán’s procedural matters contrasts with the image he intended to portray as a much more incorruptible character than his opponents. Acuña is a former governor of the La Libertad region (and a former mayor of its capital, Trujillo, Peru’s third largest city). He is considered a self-made millionaire for his ventures in education—he founded the for-profit institutions Universidad César Vallejo (UCV), Universidad Señor de Sipan, and Universidad Autónoma del Perú— and transport. He rallied strong support for his right-leaning campaign focused on improving international investment and for his status as a successful businessman. Acuña’s political career was controversial since the moment his presidential campaign began. The JEE found him guilty of violating the Political Party Law (Ley de Partidos Políticos) by giving monetary donations toward areas in need in order to encourage civilian electoral participation; he termed these donations “humanitarian aid.”  Acuña has a history of misallocating funds to benefit himself. As mayor of Trujillo, he illegally directed municipal funds to UCV, and this years was found to be using UCV assets to fund his presidential campaign. Acuña’s political party, the APP, originally said it was willing to respect the JNE’s decision on March 9, but filed an extraordinary appeal, which was ruled unfounded due to the lack of new supporting evidence. In and of themselves, the JNE’s rulings disqualifying Guzmán and Acuña looked good for Fujimori. The election’s frontrunner with an average of 30 points or more, according to major polling institutions, she was seen as the only candidate assured a spot in the final round of elections on June 5. Fujimori, however, is also under JEE investigation, allegedly accused of handing out monitary donations and merchandise to supporters at her rallies. In Acuña’s case, violating this principle of political party law ended his candidacy. Julio César Castiglioni, a Peruvian lawyer with a specialty in electoral law, said the JEE must perform a rigorous investigation and validate the facts. The possibility that Fujimori herself could be disqualified and the barring of Guzmán and Acuña have increased the chances for two other frontrunner candidates: Pedro Pablo Kuczynski (known as PPK), a former prime minister in 2005 and 2006 and the candidate for a party he created himself, Peruvians for Change (Peruanos Por el Kambio, or PPK), and Alfredo Barranchea, the candidate of the Popular Action party (Acción Popular, or AP). Their standings should improve in the coming weeks. The El Comercio– IPSOS electoral outcome simulator projects that in the likely case of a second round of elections between Keiko and PPK, PPK would prevail. Although Fujimori is still the lead candidate, her possible disqualification and the assumed growth of two other rivals’ support challenge her already problematic course. Uncertainties continue to loom over the presidential race. Featured Photo: Cesar Acuna 2015. Taken from Wikimedia. DW. “Perú: Jurado Electoral Declara “inadmisible” Candidatura De Guzmán.” News release, February 20, 2016. DW. http://www.dw.com/es/perú-jurado-electoral-declara-inadmisible-candidatura-de-guzmán/a-19062154. JNE Verá Hoy Casos De Guzmán Y Acuña En última Instancia.” El Comercio. 2016. http://elcomercio.pe/politica/elecciones/jne-vera-manana-casos-julio-guzman-y-cesar-acuna-ultima-instancia-noticia-1885934. Acuña and Guzmán Disqualified from Peru Presidential Race.” Latin News. http://www.latinnews.com/index.php?option=com_k2&view=item&id=68274&uid=17952&acc=1&Itemid=6&cat_id=801118. Julio Guzmán Y César Acuña Con Un Pie Fuera De La Contienda Electoral.” Diario Correo. March 05, 2016. http://diariocorreo.pe/tema-del-dia/julio-guzman-y-cesar-acuna-con-un-pie-fuera-de-la-contienda-electoral-658135/. Vivas, Fernando. “Preparado Para Lo Peor, Por Fernando Vivas.” El Comercio, March 9, 2016. http://elcomercio.pe/opinion/rincon-del-autor/preparado-lo-peor-fernando-vivas-noticia-1884830. 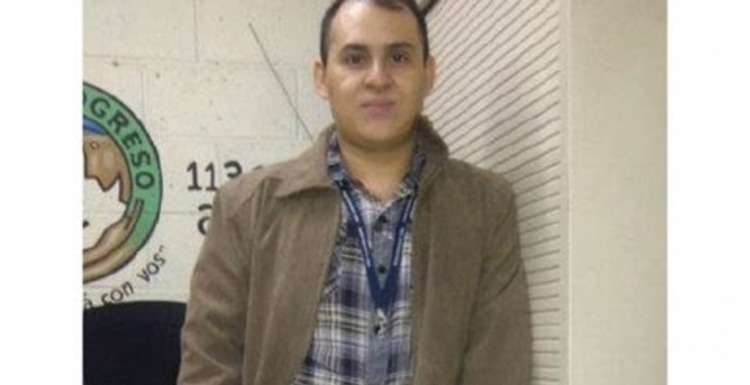 “Profile of Cesar Acuña.” Peru Reports. http://perureports.com/cesar-acuna/. DW. “Perú: Improcedentes Las Candidaturas De Acuña Y Guzmán.” News release, March 4, 2016. DW. http://www.dw.com/es/perú-improcedentes-las-candidaturas-de-acuña-y-guzmán/a-19095514. Correo. “Acuña Usa Bienes De UCV Para Proselitismo.” News release, May 11, 2013. Diario Correo. http://diariocorreo.pe/politica/acuna-usa-bienes-de-ucv-para-proselitismo-100562/. ll as our t press@coha.org. 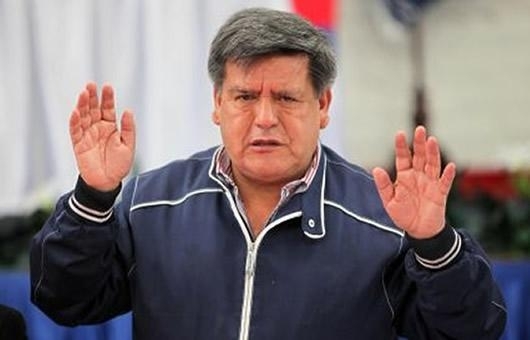 ore information on COHAdue to their vast knowledge on specific issues th http://larepublica.pe/politica/748358-jne-decidio-que-julio-guzman-y-cesar-acuna-quedan-fuera-de-las-elecciones. Perú21. “Keiko Fujimori Fue Denunciada Ante El JEE Por Entregar Dádivas.” News release, March 6, 2016. Perú21. http://peru21.pe/politica/keiko-fujimori-fue-denunciada-ante-jee-entregar-dadivas-2240685.